Roughly 20 percent of Americans get the flu every year, yet people still find excuses not to get vaccinated. While the chances are slim that you’ll need to be hospitalized for influenza, here are some of the most common misconceptions about the flu. 1. A flu shot can make you sick. The vaccine contains an inactivated sample of the virus, so there’s no way you can contract the flu from the shot alone. This myth originated because it can sometimes take up to two weeks before the vaccine takes full effect, and many people get the flu during this time. 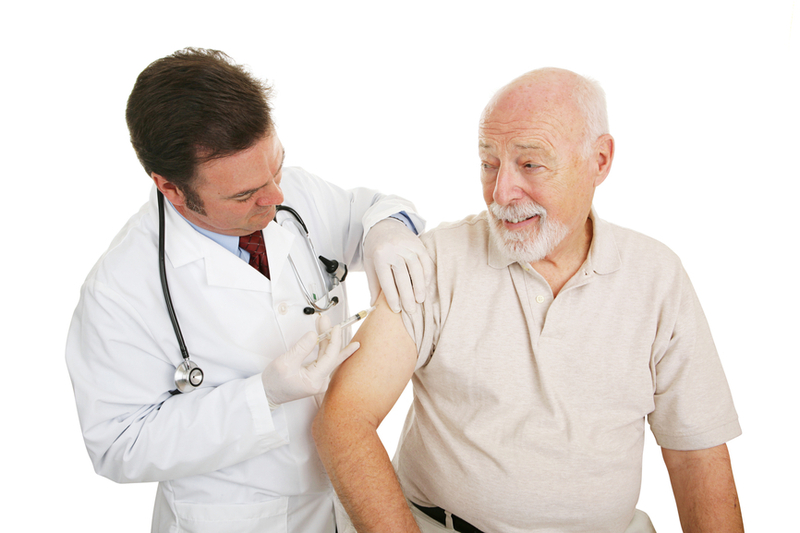 Contrary to popular belief, the vaccine is the best way to stay protected from influenza. In fact, studies suggest that a flu shot can keep you from getting sick, reducing hospital visits by 71 percent for adults and 74 percent for children. 2. I’m a healthy person so I don’t need to get vaccinated. Even if you’re healthy you can still get sick—all it takes is being exposed to the flu virus. The Centers for Disease Control and Prevention (CDC) recommends that everyone six months and older get a flu vaccine every year, including healthy people since it can protect against spreading the virus. 3. Only people with medical conditions die from the flu. Thousands of people die every year from the flu, including young adults who are otherwise healthy before they get sick. According to an article published by Pediatrics, 43 percent of children who died from the flu had no previous existing health condition. While it is true that 90 percent of deaths occur in people 65 years of age and older, the flu is a dangerous virus that mutates every year, so there’s no telling how it may affect people in the future. 4. I got a flu shot, so there’s no chance I’ll get sick. The flu vaccine doesn’t guarantee that you won’t get sick, but it can reduce your chances of contracting the virus. If you get a flu shot and you still get sick, it’s usually a sign that your vaccine is designed to protect against a different strand of the virus. In most cases, however, you’re still more likely to recover quicker than those who don’t get vaccinated, and your symptoms may be less debilitating. It’s important to note there isn’t a single vaccine or “cure-all” solution that will protect against every strand of the flu virus. Between high-dose vaccines, regular flu shots, and even nasal sprays, there are lots of preventative measures to choose from, in addition to washing your hands, regular exercise, and eating a balanced diet.